Have you come for a UFO ride now? Well I encourage you to! The yearbook is a place where YOU are the star! It's a great place to start to get to know the members of our family before you chat with them. However it's also a great place for you to learn fun facts about our family members that you might not have ever learned otherwise! 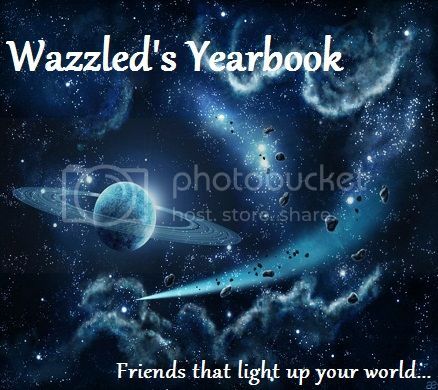 If you would like to continue on through the yearbook you should board onto the UFO before it takes off! Please remember to keep seated until safely landed! To navigate the UFO click on the tabs on the top of the page. Wanna be added to our Galaxy? If you would like to be apart of our yearbook please follow Zed, the dancing alien, to the form below. If you don't feel comfortable answering some of these questions then just put N/A as the answer! When you have finished filling out the form neomail it to Jackie by clicking on the picture below! Favorite Animal: Squids! Oh yeah, that's right, I'm weird. Favorite Color: Purple and pink forever! Favorite Quote: I didn't hit you, I just high fived your face. Favorite Holiday: All of them! Favorite Food: Steak. Meat, meat, meat! Real life Goals: Have a career involving writing or artwork. About yourself: I am very creative and weird, and have sometimes crazy ideas. I HATE waiting, and love excitment. In my spare time I draw and write stories, and of course play neopets. Favorite Quote: Love, the best and worst of emotions, can replenish your soul or destroy your heart. About yourself: Well I am easy to get along with. I am always there for people. I like to hang out with friends and play neopets. Favorite Quote:The road to success is always under construction." About yourself: I LOVE to sing and play the guitar. I hate spiders and any insects. About yourself: I write poetry and stories. Liars annoy me. Spiders, clowns, and the dark terrifies me. I love my friends, family, and cats. Favorite Quote: Don't worry about what everyone else is doing wrong, look at yourself. Favorite bands / Singers: Adele, One Direction, Maroon 5, and Beyonce. About yourself: I bowl, hang with fr1ends and family, likes movies and the beach, draw, sing, and playing any sport. I have a fear of spiders and losing the people I love. About yourself: I love animals, I horseback ride, I love acting, and I am a vegetarian. Favorite Food: Sushi and chicken! Real life Goals: Live in Japan, learn Japanese, be a famous singer, write my own book with another name so no ones recognizes me lol. About yourself: I love singing and writing. Once I loved drawing, but I don't anymore. D: In my spare time I surf on the internet, listen to music, chat, create petpage layouts, work on my website and blog, etc. I play basketball. I'm afraid of people not liking me. About yourself: I love farming. I am honestly a random person. I play a lot of instruments. I'm a bit obsessive over the Beatles.. I'm very active. I want to move to Florida and have a pet alligator... o_o ... Food. About yourself: I cry a lot about everything and love pro wrestling. Great at history and art, and terrible at sports. I collect vinyl records and tea boxes. Favorite Books: psht who has time for books? Favorite Quote: Too many to quote. Practically everything by John Lennon. Favorite Food: Macaroni and cheese! Favorite bands / Singers: The Beatles, the doors, Bon jovi, Elvis, the beach boys, John Lennon & George Harrison's singles, etc. Real life Goals: Go to college, go on from there lol. Favorite Books: Calvin and Hobbes, Romeo and Juliet, and so many more. Yes I love to read. Favorite bands / Singers: Meg & Dia, Simple Plan, A Day to Remember, Red Jumpsuit Apparatus, and many more. I'll listen to just about anything really. Real life Goals: I want to make people happy how ever I am able to. I want to draw a complete wolf back with personality descriptions of each wolf. About yourself: I have to say that if it were up to me I would be laying on the floor in a pile all day coloring pictures. I really love arts and crafts of all kinds but I think that drawing is by far my favorite. Another huge part of my life is dancing. I don't do it so much anymore but when I feel like it or have some extra time with nothing to do hip hop normally occupies that. I love being outside when I can be. I care a lot of animals. It doesn't matter what kind of animal it is I still love it a lot. Some of my favorite things in the world are dinosaurs, cookies, and quotes. I have a quote box that I hope will one day be overflowing with quotes. About yourself: Hi, my name is Rale. Pronounced like Rail. My full name is Raleigh which rhymes with Kally in case you wanted to know. I am a very friendly person and love to talk to lots of people! Feel free to talk to me about anything! 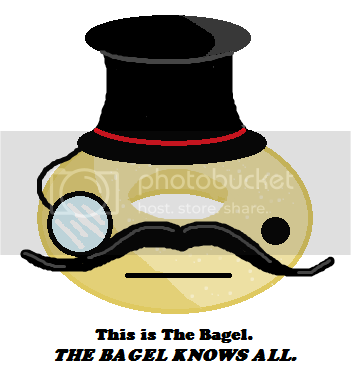 I really use neopets as a way to unwind so I really enjoy the casualness of it. I can get very competitive so don't tempt me! About yourself: I enjoy sarcasm a lot. I also enjoy practical jokes and video games. Favorite Books: Are you my mother? About yourself: I like to play wii. I have two dogs, a hedgehog, and two rats. I have a twin brother. Fresh air is awesome and so is sleep. Favorite Books: Calvin and Hobbes (Love those comics) Where the Red Fern Grows (Loved it when I read it) And many more that I don't remember. Yes, I'm a bookworm. Favorite Quote: A person who never made a mistake never tried anything new. About yourself: Hi, my name's Ash. I i had it my way, I would probably be on my laptop all day chatting with people in the guild, or reading. I'm a very friendly person, so if you want to, go ahead and chat with me! The questions in the yearbook are subject to change! If you would like to change something let Jackie know! Hi! My name is Glow and I would like to share the credits of this page with you! Once you have seen them all please be sure to have a safe trip back to Earth! See you again sometime maybe?